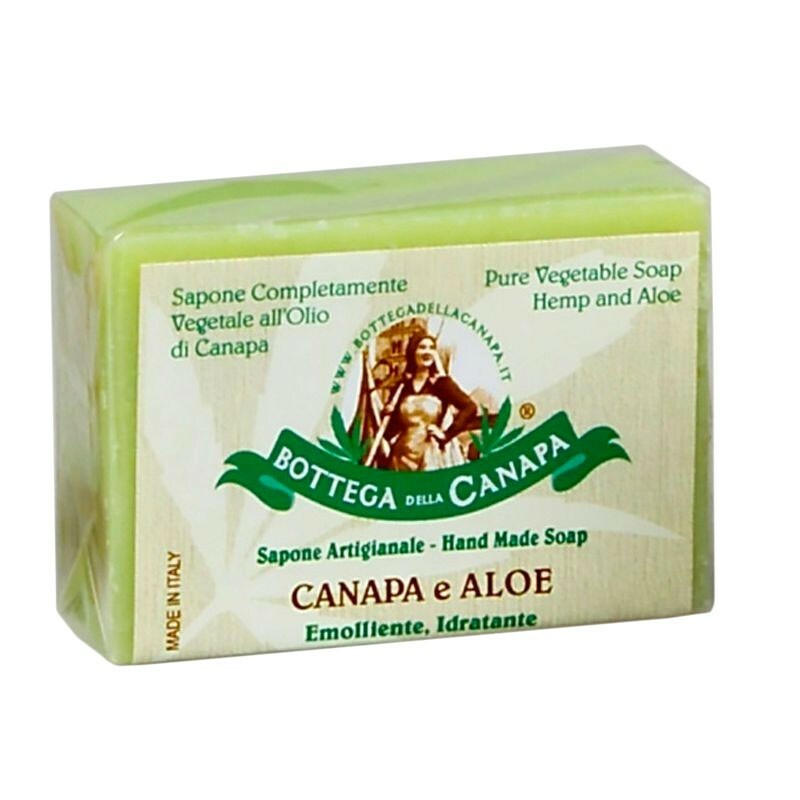 100% vegetable soap with organic hemp oil and aloe vera. Emollient, moisturizing. For all skin types.